My girls have been crushing on spaghetti, lately. I guess they are just like me, I crave something and want to eat it constantly for a while and then I move on to my new obsession! I was getting a little tired of the regular stand by of a bottle of Prego and spaghetti noodles, and I’m so glad that I did! This is so good that I ate it for dinner and then leftovers for lunch the next day. I’m not a leftover kind of girl but I loved it that much. This is so easy and perfect for those crazy, busy nights. You know what I mean! In a large pot, cook the spaghetti and add the chicken bouillon cubes to the water, until the noodles are al dente. Make sure not to over cook. 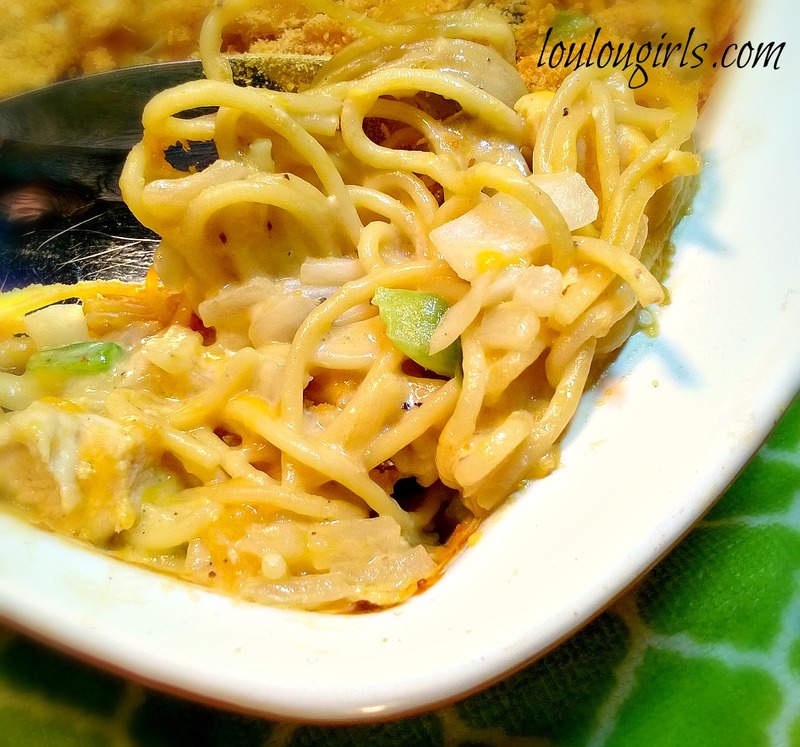 Drain the noodles and then combine them with the chicken, cheese, green pepper, seasoned salt, soup, sour cream and onions. Sprinkle with salt and pepper to taste. 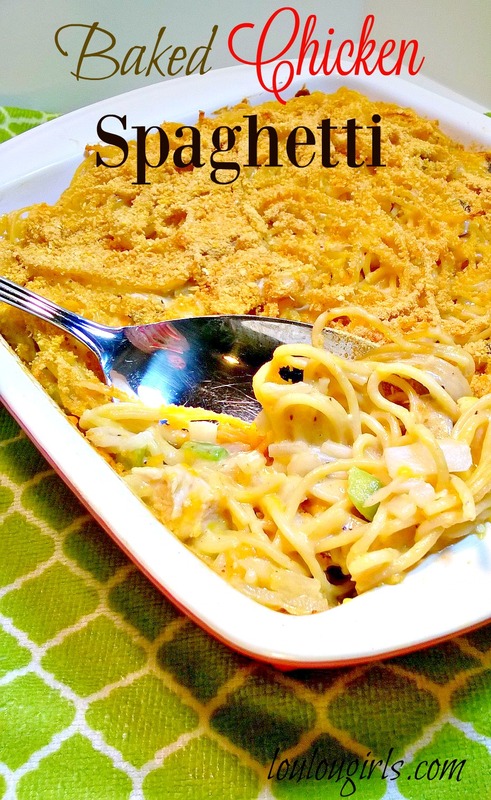 Pour into a casserole dish and top with the bread crumbs. Bake for about 45 minutes or until the sides are bubbling. Cream of chicken would be amazing. A little different flavor but it will still taste great! That looks delicious! I bet it will be a hit at our house! Looks tempting. Will try this soon. Thanks for sharing. This looks Delicious! I am going to have to try this recipe sometime! Thanks for sharing at the #HomeMattersParty! This looks delicious! Thanks for joining Home Sweet Home!